You need to identify the target audience for your website. This will be essential for branding and helping you to fulfil the goal behind the website. If you are trying to educate young people for example, young people must be able to actively engage with the content on your website. The branding must be attractive to young people. On the other hand if you are trying to sell a specific produce to a targeted population demographic, your website must be targeted towards this demographic. Planning is ABSOLUTELY ESSENTIAL. You MUST have a clear business plan and your website must be part of this plan. By identifying your business goals, target audience, strategies and competitors you can easily plan how you want your website to look. Before one line of code for your website is written, you have to have a clear picture in your head how you want it to look. Whatever the purpose of your business, you will always have competitors. These may even appear whilst you are developing your website. It is essential that you do not rush your website development and produce a haphazard site. Focus on outdoing a competitor. Analyse your unique selling points over your competitors and target your website towards these. Put your business personality into the website. A clear brand identity will make you easily identifiable and put your competitors in the shade. 4) If you are paying a website developer- Have you briefed your designer well? One of the pitfalls often seen in website development occurs because you have not efficiently communicated to your website designer what you want them to do for you. Website development is an expensive process. Have in writing what you want the developer to do so if this is not done you have evidence to ensure errors are corrected and your initial vision is achieved. Before the designer starts establish what domain name you want and online service you want your website in (Weebly, Yola, WordPress, Odoo, Basekit website builders for example). Once a developer has started working on one website builder hosting service, it can be very expensive and time consuming to change this. Do your research on which service would suit your business the best. Now everyone gossips on about SEO, but what is it? Basically, this is what decides how far down the list you are on a Google search. For the success of your business, it is essential you are quite high up this list. Google has certain algorithms which establish this. Recent SEO changes have targeted “spam” (too- sales orientated) websites and non-mobile friendly websites. If your website has bad SEO, the chances of anyone finding it is very low so it is essential you stay on top of this even once the site is up and running. Do not give away your whole business plan on your website. The less words you use the better. If you have a great idea, it might be a good idea to look into intellectual property law, non-disclosure agreements and patents with your web developers and your idea. The more you give away for free on your website, the easier it is for someone to copy this and the more your competitors have over you. 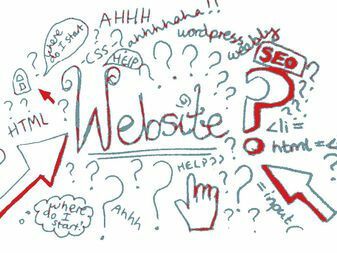 7) Who will manage and maintain the website? Your website must continuously evolve to increase traction to the site. A good onside social media campaign tied to the site will continuously bring potential leads to the site and so it is essential that your website appeals to these leads. You must also have someone on team with knowledge of how to fix any issues with the site. A slow or badly coded website looks very unprofessional. All links, videos and purchasing processes MUST work. A good analytics programme allied to your website, such as Google analytics, will easily allow you to see how effective your website is. Monitor every page for visitors, clicks and purchases and see what changes need to be made to make your website more effective. Send people links to your website and ask what they think needs changing. Feedback prevents failure. Do not be offended. Take criticism as advice. Be proud of your business. The more optimistic and energetic the website, the more attractive it will appear to users. If you need funding to to pay for a startup website developer, you can borrow up to £25000 with Startup Direct. For more information on this, click here.